USADA announced today that Daniel Frazier, of Mattawan, Mich., an athlete in the sport of cycling, has accepted a one-year sanction for an anti-doping rule violation. Frazier was subject to testing due to his membership in USA Cycling, which maintains the RaceClean Program that works to fight doping in the sport of cycling. The goal of the RaceClean Program is to increase testing and education to provide greater doping deterrence and is executed through member funding, donations, and local association partnerships. 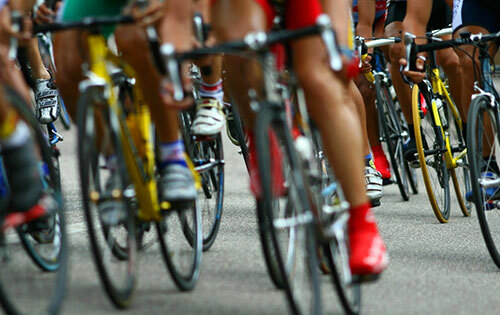 Frazier, 49, tested positive for clomiphene, hydroxyclomiphene, and the presence of an anabolic agent and/or its metabolites as the result of an in-competition urine sample he provided on September 9, 2017, at the Detroit Cycling Championship. His urine sample was analyzed using a specialized test that differentiates between anabolic-androgenic steroids naturally produced by the body and prohibited anabolic agents of external origin. Anabolic agents and clomiphene are prohibited at all times under the USADA Protocol for Olympic and Paralympic Movement Testing, the United States Olympic Committee National Anti-Doping Policies, and the International Cycling Union Anti-Doping Rules, all of which have adopted the World Anti-Doping Code and the WADA Prohibited List. After a thorough review of the available information, including Frazier’s medical records, it was established that his use of clomiphene and testosterone was pursuant to prescriptions he was taking in a therapeutic dose under the care of a qualified physician. Under the USADA TUE Policy, an athlete has the responsibility to demonstrate in advance of using a prohibited substance that the medical need to treat an acute or chronic condition satisfies all four strict criteria within the WADA International Standard for TUEs (ISTUE). Although Frazier’s use of clomiphene and testosterone was under the medical supervision of his physician, the independent Therapeutic Use Exemption (TUE) Committee determined Frazier did not meet the criteria to obtain a TUE pursuant to the ISTUE. For recreational competitors like Frazier, a Recreational Competitor TUE (RCTUE) may be available if specific conditions for recreational only competitors are met. These factors available only to recreational athletes balance the athlete’s therapeutic need for a medication and the potential to enhance competitive outcomes. In Frazier’s case, although his standard TUE application was denied, based on the clinical evidence provided, he was granted an RCTUE authorizing his continued use of his testosterone medication as a recreational competitor. RCTUEs are not allowed for national-level competitions or international competitions. Frazier’s one-year period of ineligibility began on October 16, 2017, the date his provisional suspension was imposed. In addition, Frazier has been disqualified from competitive results obtained on and subsequent to September 9, 2017, the date his positive sample was collected, including forfeiture of any medals, points and prizes. In an effort to aid athletes, as well as support team members such as parents and coaches, in understanding the rules applicable to them, USADA provides comprehensive instruction on its website on the testing process and prohibited substances, how to obtain permission to use a necessary medication, and the risks and dangers of taking supplements as well as performance-enhancing and recreational drugs. In addition, USADA manages a drug reference hotline, Global Drug Reference Online (www.GlobalDRO.com), conducts educational sessions with National Governing Bodies and their athletes, and proactively distributes a multitude of educational materials, such as the Prohibited List, easy-reference wallet cards, periodic newsletters, and protocol and policy reference documentation.